The parents of Anie Graham say they learned about the bullying by looking at their daughter's social media accounts after she died. Lewiston Superintendent Bill Webster said that school officials were never told that a middle school student who took her life this week was being bullied and the girl’s parents acknowledged Thursday that they learned of the bullying only after their daughter died. “We have inquired, and I am not aware of any adult, inside or outside of school, who was made aware of this student being bullied. Two of her classmates approached me directly to say that she was not being bullied,” Webster said. “This does not mean that bullying did not take place. “It does mean that we can never stop doing work to encourage children to come forward to an adult when they are struggling with the unkind words and actions of others,” he said. Anie Graham, a 13-year-old seventh-grader, took her life at her home Tuesday. Her father said they had sought help for Anie at school and with medical professionals, but only learned that she was being bullied at school and on social media after she died, WCSH-TV reported. Webster called Anie’s death “an unimaginable loss.” He said she had been identified as an “at-risk” student and school officials had met with her family about those issues, but not about bullying, which never came up, he said. On Monday, school officials called the Grahams in because Anie had written on a class assignment that she wanted to kill herself. “The principal said as a parent you need to assess the situation, but she can’t stay here,” Rosi Graham told WCSH. The Grahams took Anie to a doctor that day, but when the doctor asked her about the note, Anie said ‘I didn’t mean anything by it,” her mother said. That night they went home and had dinner. The next morning, they found her body in her room. “I just want to plead and ask parents that even if the kid had a good day, if they wrote that note, they were serious. Just sleep with them for the night,” Rosi Graham said. 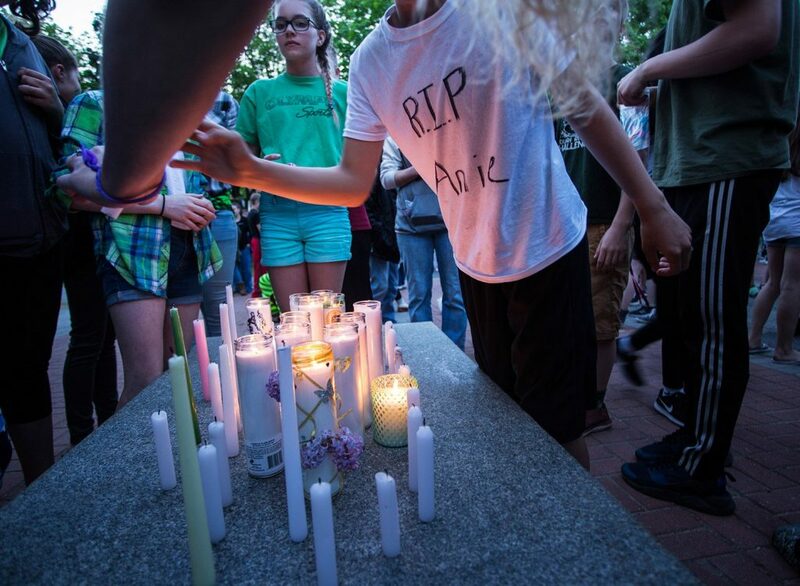 Anie’s death prompted about 50 fellow students at Lewiston Middle School to walk out of class Wednesday in protest, and a candlelight vigil Wednesday night was attended by about 200 members of the community. “We tried so hard, we tried everything. When it got serious, when it got real, no one helped us,” her father, Matt Graham, said on Wednesday. Graham said he and his wife had sought help for Anie at the school and the hospital to no avail. Although both of the parents have full-time jobs and health insurance, Matt Graham said, their insurance coverage couldn’t help them with treatment. The Grahams said their daughter changed after they moved from Auburn to Lewiston 18 months ago and Anie changed schools. They told WCSH that they didn’t know about the bullying, but they knew for months that Anie was hurting. After her death, they went through her online accounts and discovered the bullying. “She was suffering bullying in all of the awful ways that a little girl can suffer bullying,” her father told WSCH, such as being mocked for her hair, her skin tone, and her weight. 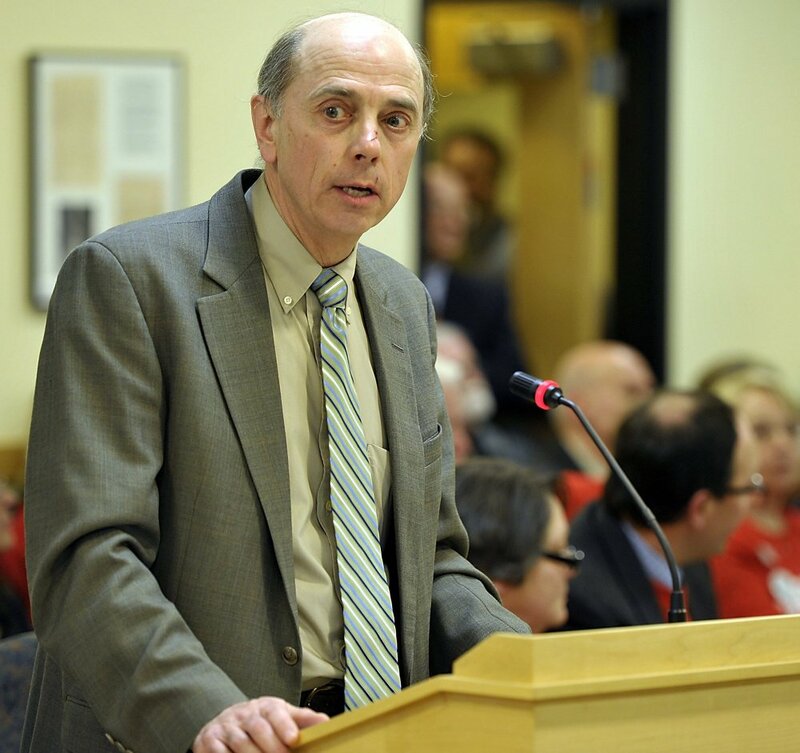 Graham asked the school district to make certain policy changes, Webster said on Thursday. Graham said that if a school believes a student is at risk of suicide, or if a parent comes to a school expressing “a concern about their child struggling with life,” that the school should immediately arrange for the child to be hospitalized. Webster said Anie’s father believes that a hospital would take a referral from a school more seriously than from a parent, and that having schools refer parents to mental health providers is insufficient and allows too much time to pass. “Our protocols in schools today include contacting and releasing to a parent when their child is deemed at risk of harming themselves,” he said, adding that they would consider the Grahams’ suggestions and will investigate what led to Anie’s death, including the possibility of bullying. “We will be reviewing our protocols and definitely going through everything we’re aware transpired and everything that didn’t (transpire) that we think should have,” Webster said. Graham and students at Lewiston Middle School described Anie as friendly and bubbly, a frequent host of pool parties and a talented math student. More than 200 students, parents and teachers returned to the school Wednesday evening for a candlelight vigil, with many students still wearing green T-shirts and face paint in Anie’s honor. The district held a community meeting Thursday night at the Green Ladle, a student-run restaurant at the Lewiston Regional Technical Center. The Maine’s Crisis Hotline is available 24 hours a day, 7 days a week at (888) 568-1112.